This is how to unblock Robocalls and spammers as much as is possible with current means. 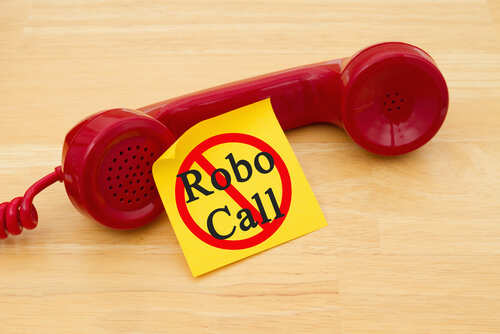 Are you one of those people who keep getting one robocall after another robocall all the time? No one can debate the fact that there are more scammers, telemarketers, and spammers in the online world than ever before. That is why we have written this guide to let you know that there are a lot of things that you can do right now in order to battle hard against unknown and annoying callers. This guide will help all of you folks who are just sick and, most probably, tired of all the spam calls and robocalls that you have to deal with both on your mobile number as well as a landline number. Of course, there are the usual standard steps that you can take such as registering all of your important phone numbers with the Federal Trade Commission’s official Do Not Call Registry. But that does nothing to stop those disreputable telemarketers and scammers from making unwanted calls on your number. We want to go beyond that. There are a lot of actions that you can perform which do not involve the FTC or its services. So the first thing you need to know is that Android phone along with Apple devices both come with strong and more importantly, built-in, security features that you can use right now in order to block all the phone numbers that keep on bothering you. Apart from that, there are also some other and rather several third-party Android and Apple apps. All of these apps along with others help you to block all the horrific telemarketing calls. In fact, each and every tool that we will mention in this guide will help you to stop unwanted all the unwanted SMS and other text messages as well. We are aware of the fact that the majority of our readers would have already done that. But in case you have not then you need to register both your mobile phone number and your landline number with the Federal Trade Commission’s Do Not Call Registry. To get started on that you need to visit the official website for the Do Not Call Registry. Click here to do that right now and register your smartphone device. This tip is for those people who think that they have already managed to register their set. Once you go to the official website you need to click the blue button that says Verify Here. The next step is to type up your phone number along with your email address and then use that to click on the option that says Submit. To do that you need to go to the next screen. From there you need to click the button that says Verify. That will allow you to confirm your email address and phone number. When you move to the next screen the website should send you an email message. Once you receive it you will notice that it indicates whether or not you have already registered your number. So go to your email service provider and check that email message. For those folks who find that they have actually not registered with the FTC regarding robocalls, they need to go back to the site that we linked to above called Do Not Call. When there, you need to restart the entire process. However, this time around you need to pick the option that says Register Here. Now you need to enter your valid email address and working phone number. Then you need to click the Submit button. The next screen would hopefully confirm all of the information that you have provided to the website. Once you have seen that, you need to perform a click on the button that says , Register. The website should take you another screen which will then redirect you to your preferred email message to check a new message. You need to open that message and then click on the provided link in order to complete the registration process. Once you do so, a page should pop up. It will also confirm that you have finally registered and have completed the registration process. The next logical step is for the user to report a given spam call or a robocall to the Federal Trade Commission. Now, do take note that the trade agency does not have the resources to act on a given user’s specific problem or complaint. However, once you report your problem , the agency will definitely suggest some steps that it wants you to implement. It will also want to collect all the information that you provide to it in order to further its own fight against all the dark and sleazy telemarketers of the world. In order to get going on this tip, you need to return to the site that we linked above called the Do Not Call website. Once there you need to press the icon that says something like Report Unwanted Calls. You need to click on the button that says Continue in order to go to the next screen. Then you need to fill out each and every piece of information that the screen requires of you. Most of the stuff will be about your spam phone call that you complained about. Once you have filled in all the information you must click on the Continue button in order to submit your details. Now you need to go to the next screen and then provide even more details about your problem. Then, as expected, you will have to click on another button that says Submit. If you do not want to do that then you can actually make a call to the Federal Trade Commission. So what’s the phone number then? This is the number you should always call if you want to report any kind of unwanted calls. Block particular phone numbers on your iPhone device. This tip is for those of you who keep on getting spam calls and robocalls from the same phone number each and every time. You can actually block the phone number that is bothering you. It is easily doable if you want to do it on a mobile device. In order to get started, all that you really need to do is to start your iPhone device and then open up the official Phone app. Then you need to click on the icon that says Recent calls. And then you need to perform a tap on the icon that says Info right next to the specific number that you want your iPhone device to block forever. Once you have done so you need to tap the related link that says Block this Caller. After your iPhone device has shown you the confirmation message you actually need to tap that button which links to the option Block Contact. Now you have managed to block that number. How to block particular phone numbers on Android. Here are the steps that you need to take in order to block annoying numbers on your smartphone device. But before we begin we would like to inform you that the exact steps would actually depend on the phone that you have and the version of the Android operating system that you’re running. So let’s move forward with the help of an example. First, open up your official Phone app. Then search for the number that you want Android to block. Once found, tap on it. Then tap on the option that says More. And then perform another tap on the shown command which says Block number. After that, you need to select the option that goes something like Call block. You can also choose Message block. Or you can select both options. Once done, click on OK.
Let’s take a look at another example of how you can block numbers on your Android devices. First, go to your device’s official Phone application. Then perform a tap on the option that says More. And then hit on Settings. After that, you must click on Call Blocking. When that is done you need to click on Block List. Once there you must type out the mobile phone number that you require your Android device to actually block. With that out of the way, you must tap the option that says +. 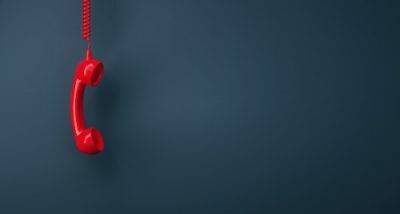 There is lots more that you can do on the Android operating but we’ll stop here to address some other more important issues on how to unblock robocalls. Block numbers by the carrier. Almost all the major carriers in the industry at the moment have their own specific guidelines and application for users who want to block some unwanted calls. For example, there is AT&T. The official support page for this carrier comes with clear directions on how to block calls on various different kinds of mobile phones. Not only that, but the company makes sure it is able to provide users with a decent blocking application. Some call it a service. It goes by the name of Call Protect. And it is available for both the Android platform as well as the iOS platform. There is also a service that is known in the industry by the name Smart Limits. Perhaps we should also mention Verizon Wireless. This service provider enables subscribers to actually block up to a total of five different numbers for a period of 90 days. And it does that without charging users any kind of money. If you want to block more numbers, let’s say 20, then you need to pay the company around $10 per month. The official Verizon Wireless carrier also offers users the app called Caller name ID. This app is available both on the Android and the iOS platform. More specifically though, it is available only on some Android phones. Apart from that, it is also available for a total of two decent call-blocking hardware products. One is the CPR Call Blocker Shield which costs around $70. Then there is the CPR Call Blocker V5000 which you can get for just $100. As far as the T-Mobile service provider is concerned, it offers the Scan ID feature. T-Mobile has designed this feature for those smartphone devices that have an option called Caller ID enabled. What this feature does is that it tries its best to first identify the number for the user and then it alerts the user to the number which is known to generate spam calls. Not only that but the company, in addition to the previously mentioned feature, provides users with a Scam Block feature. It is more of a service than a feature. 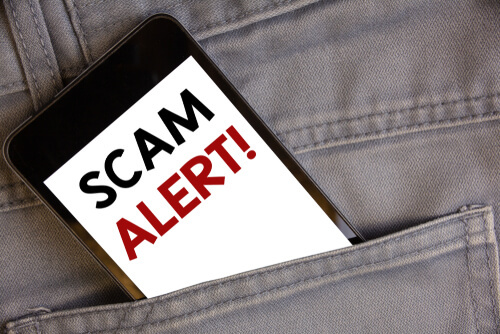 Scam Block makes attempts to block spam calls and robocalls. Turning to Sprint, it has an official My Sprint application page. Via the page that we have linked to above, all subscribers have the option of blocking specific calls. This provider also sells its Premium Caller ID application. The application comes with a service that costs users around $2.99 each month. Our research shows that the service is able to screen all calls from all unknown numbers (generally speaking). 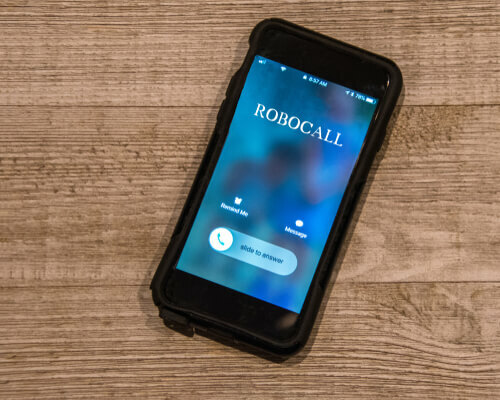 There is a simple method that a lot of third-party applications for the mobile platform make use of in order to try and block various spam calls and robocalls. And that method takes advantage of a list of numbers which are known offenders. The Nomorobo app is one of those apps. It is available on the Android and the iOS platform. It makes good attempts to effectively clamp down on all the telemarketing calls including robocalls and other types of calls. The app does that by scanning a, sort of, blacklist of all known phone numbers. Our research shows that the Nomorobo app is able to block a given spam call. After doing that it also sends the spam call to the voicemail. It can also allow the spam call through to the user’s device and then identify the call as a spam phone call. Not only that but the official Nomorobo app also has the ability to protect users against those nasty spam text messages. Apart from that, it can also serve users as a decent ad blocker for those times when they are on the web. If that wasn’t enough already then know that this app can also help you to actually report a spam call and/or robocall. So what is the cost that you have to pay for all of this? Our research shows that currently you only have to pay around $1.99 each month. Although you also have the option of taking the app for just a simple spin by taking advantage of the two-week trial program that comes for free. In order to learn a lot more about this app, you need to read a review which we will come up with in the near future. This is the app that looks like it was specifically designed for Android and iPhone devices. It is called Hiya Caller ID & Block. And it has the capabilities to block and/or warn users of a good number of spam calls and robocalls based on, you guessed it, a database. The database consists of all possible known scammers. This app has enough about it to tackle even those phone calls which are usually associated with illegal activities and/or frauds. In addition to these, this app can also block all calls connected to those pesky telemarketers. The official Hiya app can also detect those spoofed calls which make use of the exact same initial numbers as the user’s own phone number. Our research shows that the official Hiya app even allows you to type out a given phone number into its interface and then observe the app do its thing and reveal the source of the number. Not only that the app can also tell the user if the number provided is actually a suspect spam number. The other thing you need to understand here is that, the basic application comes for free. But there is also the official premium edition. The paid version comes with additional features which become available to free users once they pay up. Hiya also provides users with a free trial for a period of seven days. After that period has passed then the company charges you around $2.99 each month and/or $14.99 each year. This is the app that our research shows not only makes attempts to block various spam calls but keeps related attempts that want to cause a mess away as well. RoboKiller really is a spammer killer app. We have come to know that the RoboKiller app is actually the only app that comes with a feature like Answer Bots. These make sure that the user’s device is able to automatically provide spam calls an answer. It works by playing pre-recorded and nonsense messages which are specifically designed to frustrate spammers and telemarketers. In the process of doing so, it wastes a ton of their time. Moreover, the official app enables users just like you to create your very own automatic bot answers and other responses. The official app also makes attempts to effectively block all cases which are based on a huge database of known telemarketers and spammers. However, it provides you with the option of adding your own specific numbers. Once you provide the app with the numbers, it takes care of the rest and blocks them. At the time of writing this report, the app was available for both the Android platform as well as the iOS platform. Though it is true that initially the app only launched on the iOS platform. Perhaps that is the reason why some of the iOS features do not make an appearance on the Android version of the official RoboKiller application. We would like to tell the company that they are actually missing out on a lot of revenue and market share by not offering the best version of their product on the world’s most popular and widely used app platform which is the Google Play Store. But one could legitimately argue that RoboKiller does try to make up for it. The official Android app for RoboKiller only costs users around $0.99 per month. Users who commit to the company for a longer period of time can get Robokiller for their Android device for just $9.99 per month. Apart from that, the iOS version starts to offer its packages from $2.49 each month. Truecaller wants to strive for one purpose and that is to block all types of spam text messages and phone calls. It is available on the Android and iOS platform. The official app is smart enough to not only identify each and every incoming but especially those calls which it recognizes as unfamiliar numbers. That way the user has an easy time in recognizing legitimate or non-legitimate numbers. You should know that if a number is known as a spammer then Truecaller will automatically block it. It can do the same for numbers that the user adds on his/her own. It costs $1.99 per month.